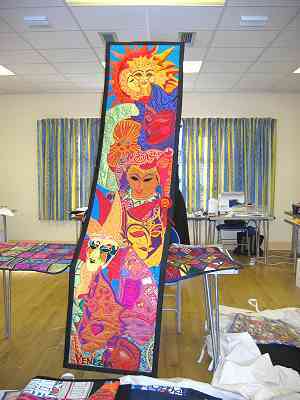 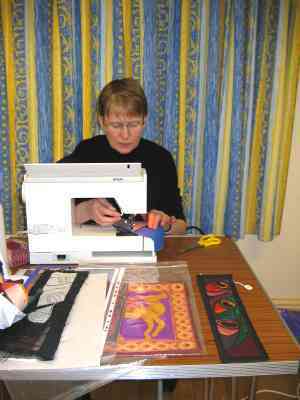 Alison uses bright coloured silks with a raw edge appliqué technique. 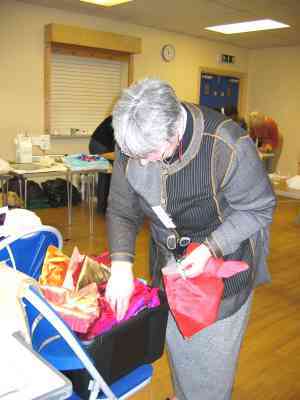 Alison Bramley gave a very interesting talk on the Friday evening. 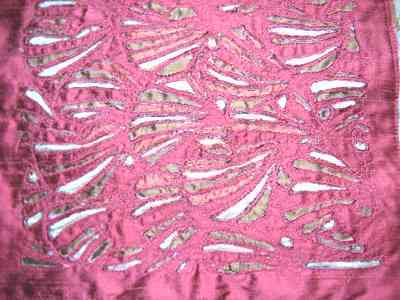 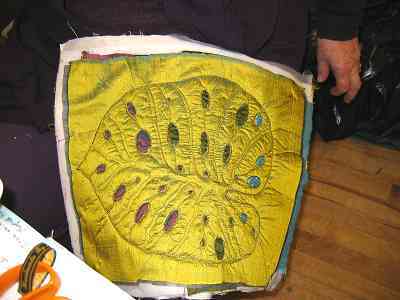 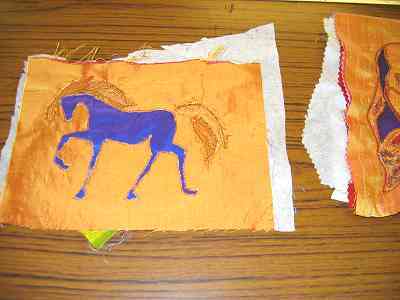 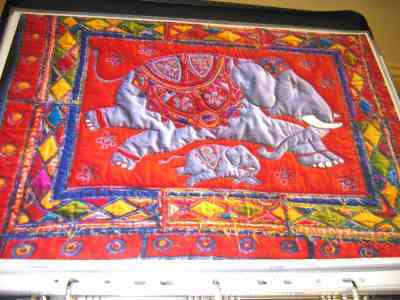 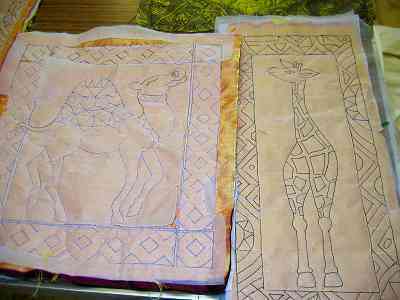 Her quilts were many and varied using the method of frayed cut back appliqué worked out by herself. 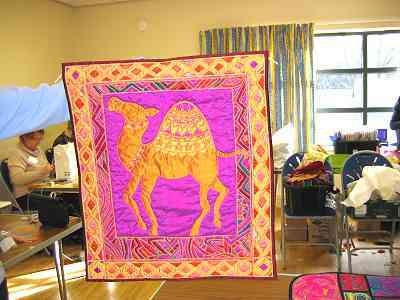 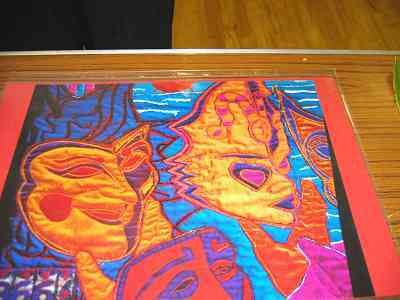 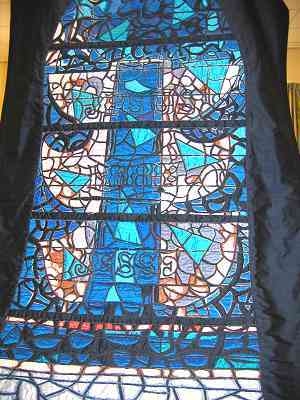 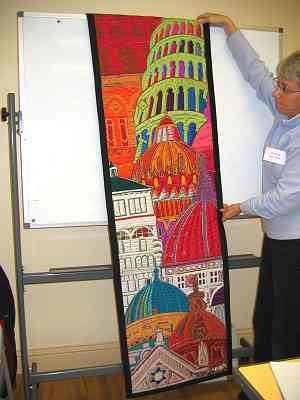 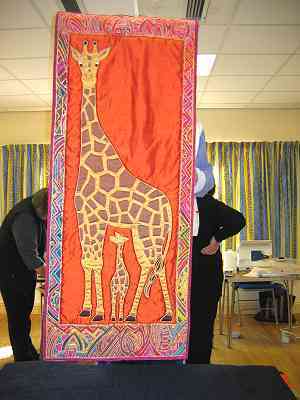 Some of her quilts have won awards and others are featured in books. 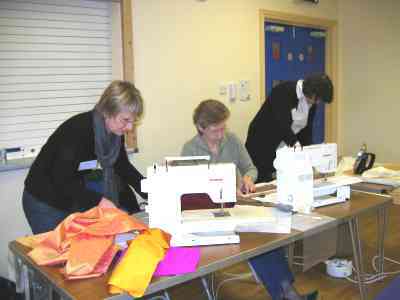 They were all very inspiring and we couldn't wait for the day course on Saturday when we could have a go! 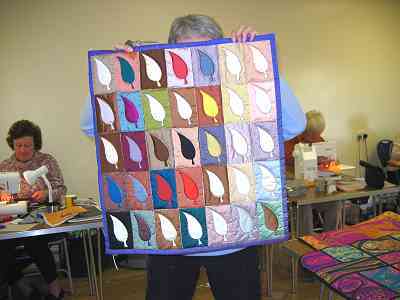 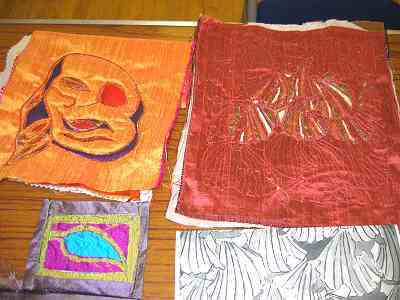 The following are a small selection of the quilts Alison has made. 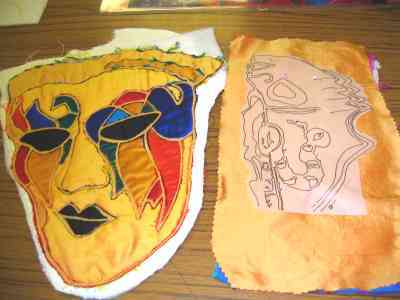 From the Venice series and close up of mask. 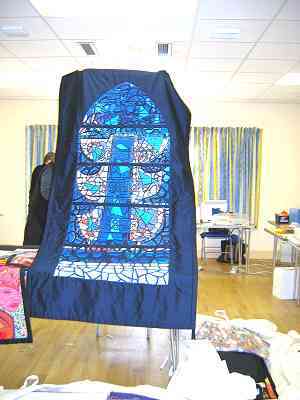 Some of Alison's quilts are featured in Fairytale Quilts and Embroidery by Gail Harker, Merehurst Ltd, published 1992. 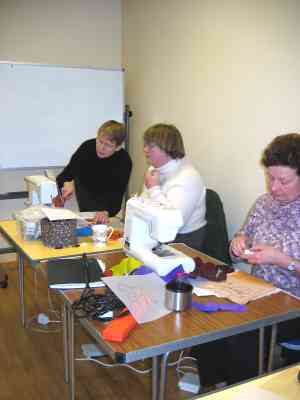 On Saturday the 12th, we eagerly awaited Alison's workshop. 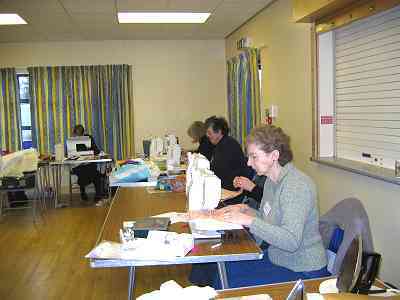 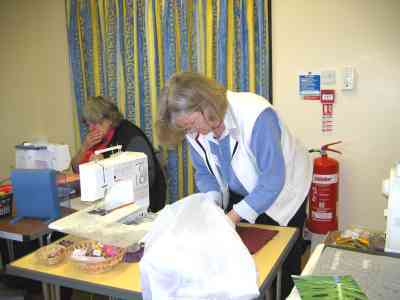 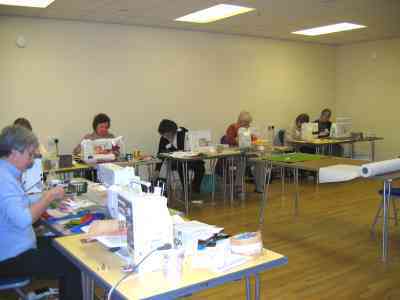 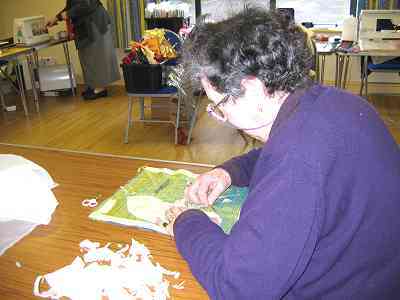 Alison demonstrating machine embroidery round a motif. 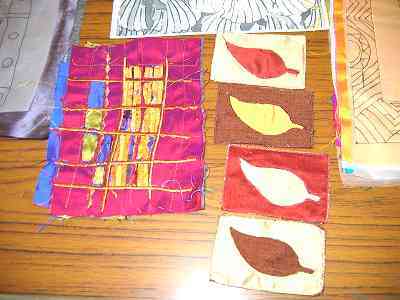 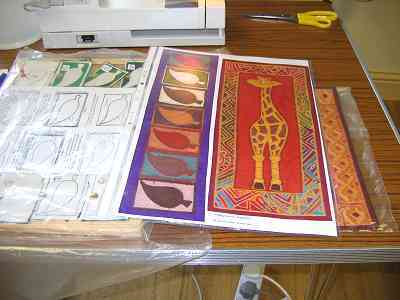 Alison's samples and stages of work. 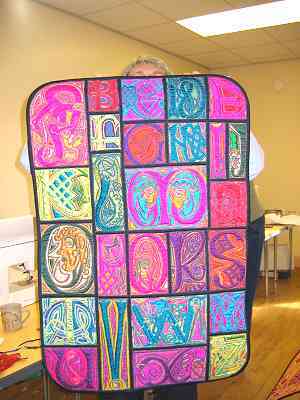 This proved to be quite tricky. 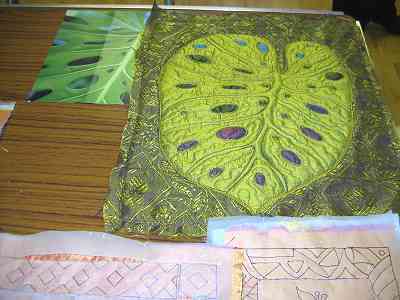 We thoroughly enjoyed our day with Alison Bramley, and some of us have now finished the items we started on this inspiring course.